Follow the guide through the Hôtel Mansart art collection. Since they were founded in the 1980s, the Esprit de France Hotels have been attached to the heritage and the art that lie behind our identity. 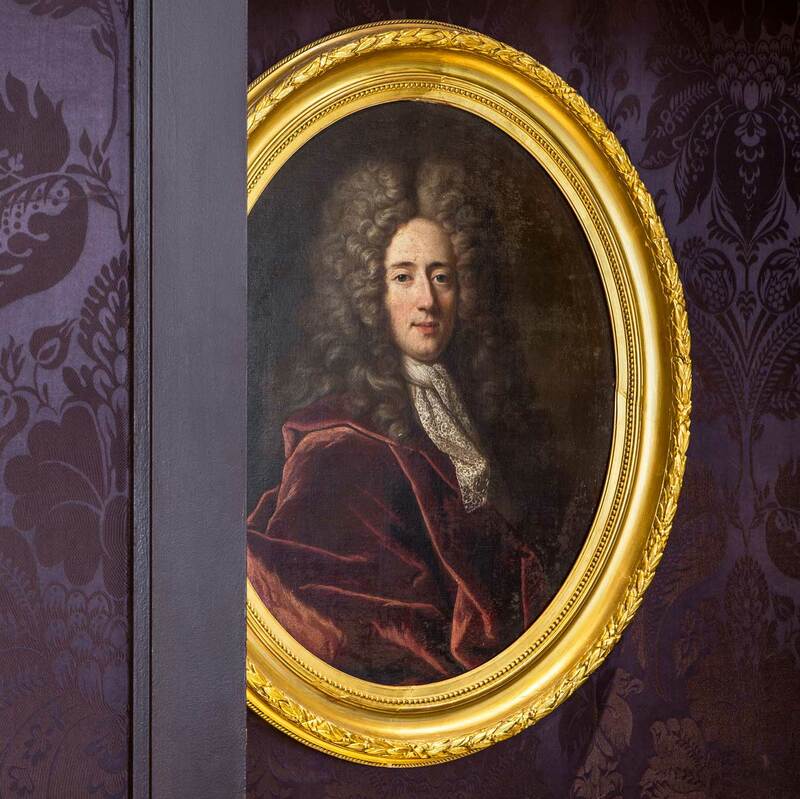 The Hôtel Mansart art collection, enriched with nearly 120 works, aims to offer each guest the chance to view a unique and original work. This collection of period paintings and engravings, sculptures and furniture, is on display in the rooms and public areas. In the privacy of your room, you can enjoy the privilege of admiring an authentic work of art during your stay. In a special reference to the history of the hotel, the Portrait of Eugénie de Montijo and the Portrait of Napoleon III, two radiant oil paintings on matching canvases, share the room that welcomed the jeweller who made their jewels at the end of the 18th century. Mythological scenes - "Alpheus Pursuing Arethusa", "Narcissus Reflected in a Fountain" or "The Chariot of Bacchus" - are playfully set beside scenes from everyday life - "Softly Sleeping", "The Good Mother", "The Kiss" and "Trying on a Corset" - in a fine harmony, under the astonished gaze of inspired portraits such as "The Portrait of a Woman as Ceres", a beautiful oval from the 18th century Italian school or the "Gentleman in Blue Holding a Letter". 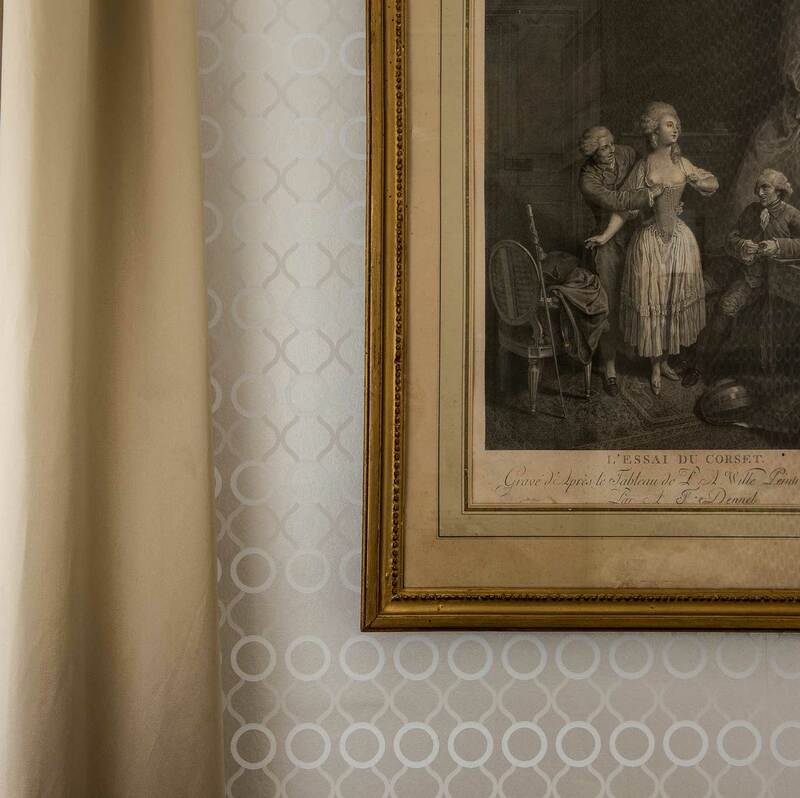 Let your imagination create stories about the lives of the characters… In the breakfast room, a discrete portrait of Mansart makes a link between the place and its history. An exception in this collection of period works, in the flight of stairs in the hall, is a sculpture by Georges Jeanclos entitled "Spirit of France", which the artist, one of the greatest sculptors of the second half of the 20th century, made specially for our hotel collection.